The Summer Celebration main stage is where CSUN faculty, staff and their families enjoyed food and music throughout the night. Photo by Lee Choo. Climbing the 46-foot rock wall was a fun experience for those who had the guts to try it. The rock wall staff continuously makes safety a top priority. Photo by Lee Choo. 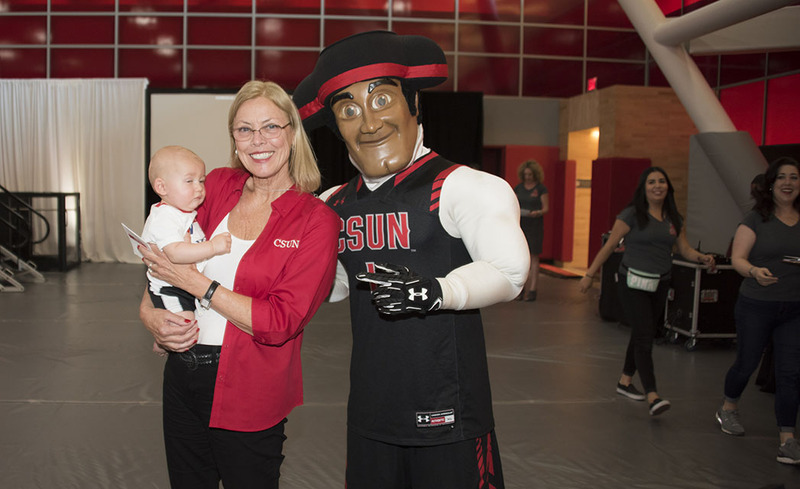 A young Matador and Matty the Matador pose with CSUN President Dianne F. Harrison at the Summer Celebration. Photo by Lee Choo. Instructors lead a vibrant Zumba session for all Matadors to enjoy. Photo by Lee Choo. 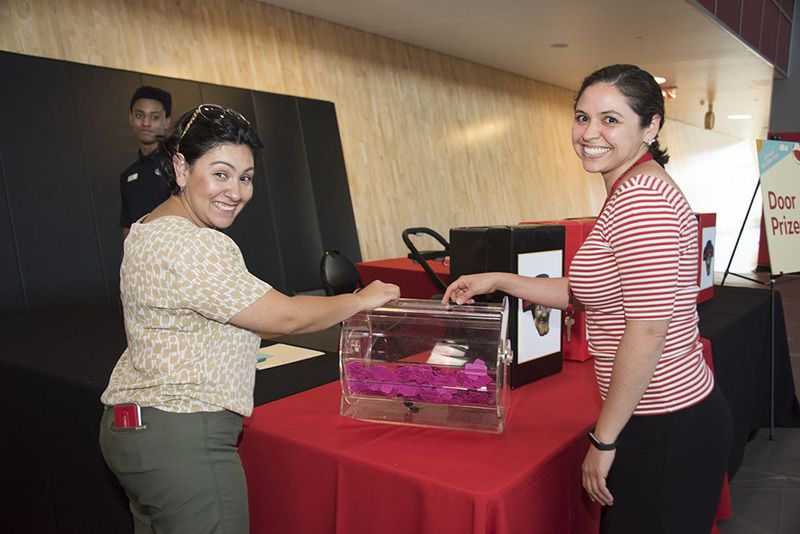 Participants had the opportunity to win various prizes, such as a campus store gift card and CSUN Men's Basketball tickets through prize drawings. Photo by Lee Choo. 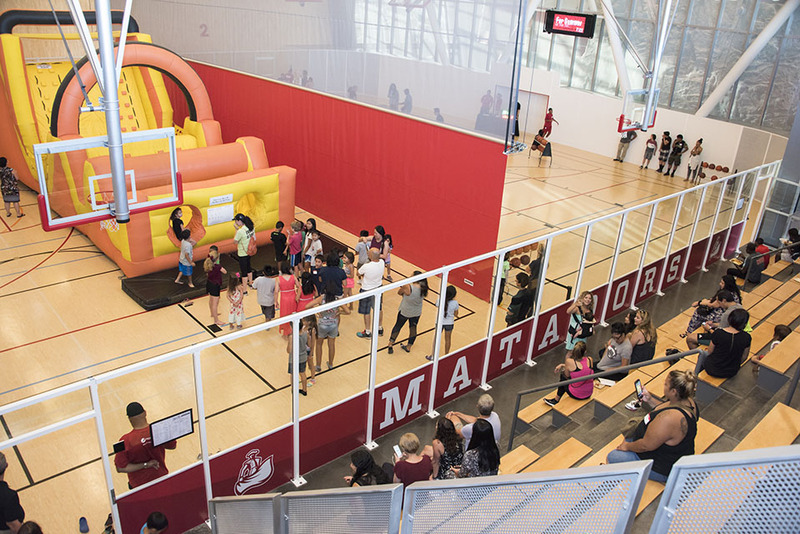 From inflatable obstacle courses to three-point shooting contests, there was fun around at every corner at the Summer Celebration. Photo by Lee Choo. Along with delicious Mexican food and desserts, attendees also had the option to enjoy fruit bowls for a nutritious, healthy food option. Photo by Lee Choo. 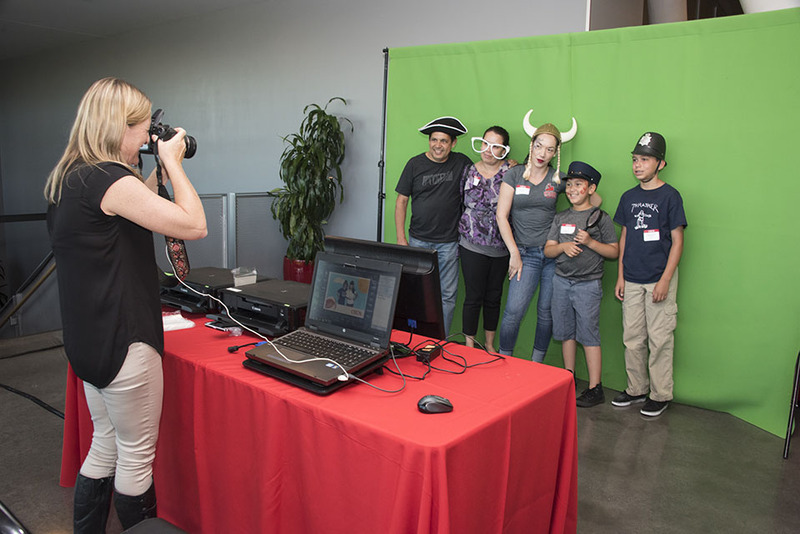 Attendees had the opportunity to "travel" and dress however they pleased at the photo booth at the Summer Celebration. Photo by Lee Choo. 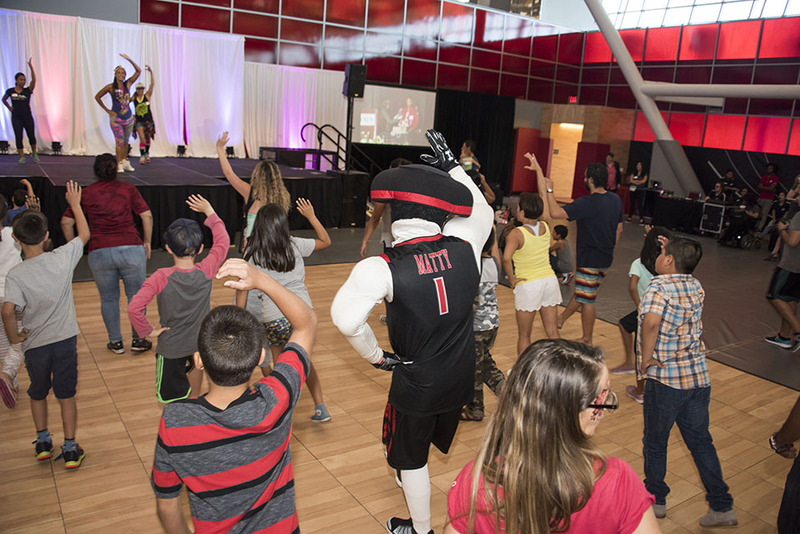 California State University, Northridge faculty and staff came together to partake in fun activities at the Summer Celebration on June 26 at the Student Recreation Center (SRC). 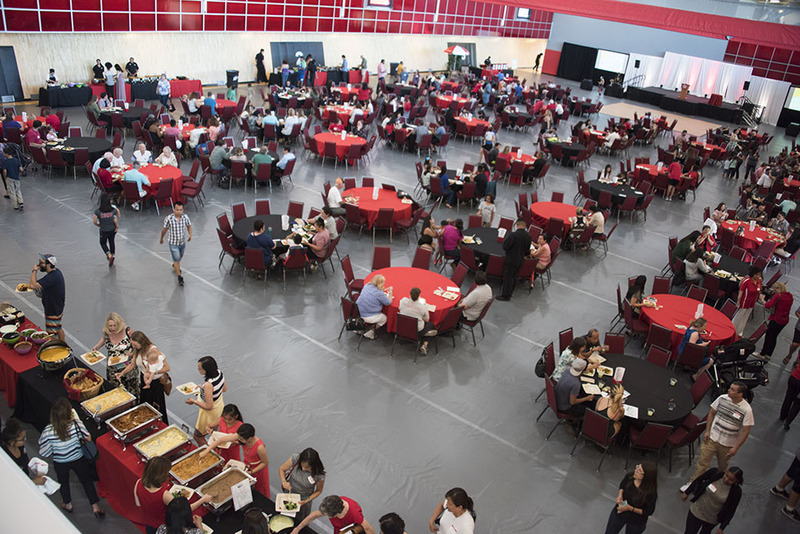 Summer Celebration is an annual event that celebrated the completion of the 2016-17 academic year with an evening of food, games and mingling. 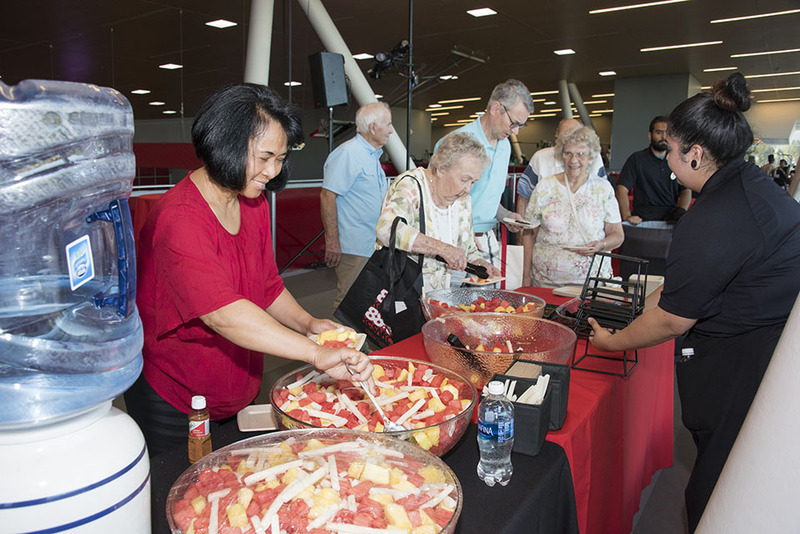 The festivities help the administration show appreciation for CSUN’s hard-working faculty and staff, as well as their loved ones. 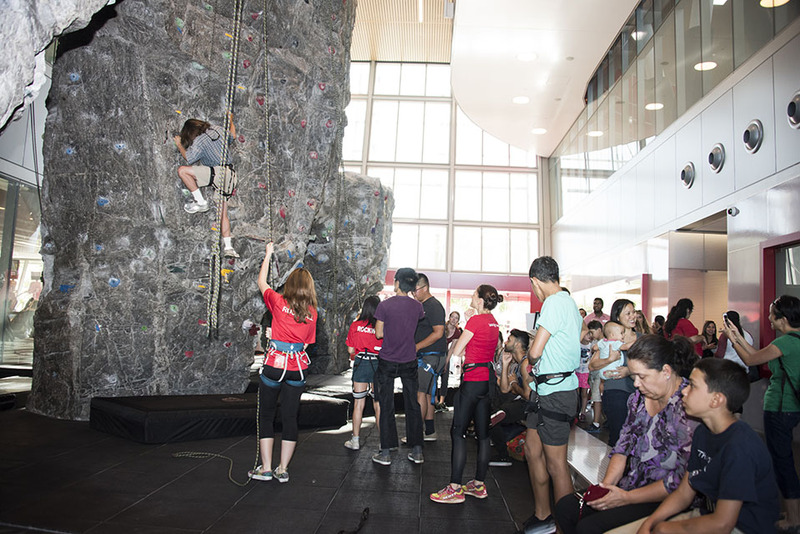 Throughout the SRC, those in attendance had the opportunity to take on the 46-foot rock wall, play bingo, pose for souvenir snapshots at a photo booth, play basketball and enjoy face painting. At the main stage in the Red Ring Courts area, there was a lively Zumba session for all ages, a Family Feud competition and raffle prize drawings where participants could win CSUN Men’s Basketball tickets, a free membership to the SRC, free massages from the Klotz Student Health Center, a $100 campus store gift card and a pair of tickets to a John Mayer concert. Attendees also feasted on a variety of food and danced along to the tunes of DJ Mal-Ski. Here are photos from the event.